Get a headstart on homework. I have absolutely no idea where those years have gone? I swear he was just learning to walk yesterday! My girls are 16 and 17 years old and luckily for Orlando, he gets to benefit from the lessons I learnt with the girls. One thing I have discovered is that I need to implement good study habits from a young age, trust me, I am not going through the homework headaches with another child! 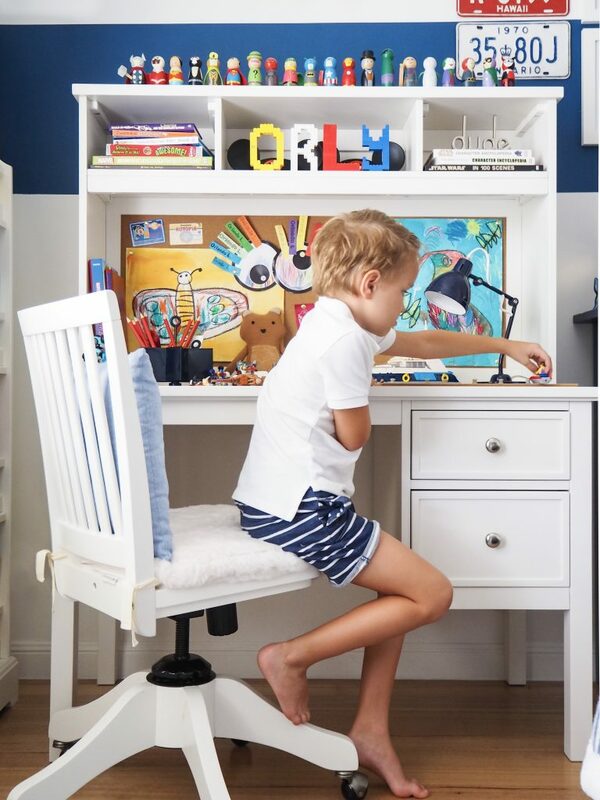 When Pottery Barn Kids approached me to see if I’d like to create a study space for Orly, I thought they might have read my mind! Of course I’d like to give Orly a space of his own and of course I’d like to work with Pottery Barn Kids, my go-to favourite kids store! I decided to put the desk in Orly’s room to start creating those good study habits NOW. 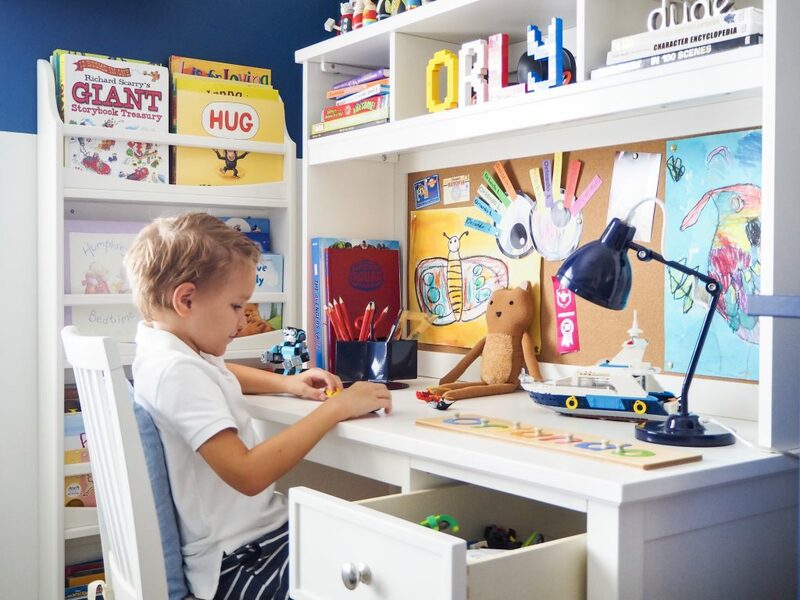 No, he’s not cramming for maths and geography just yet, but by making his desk a fun space to play and work, we hope that it becomes a place where he wants to spend time. I got Orly involved in creating this space right from the beginning. 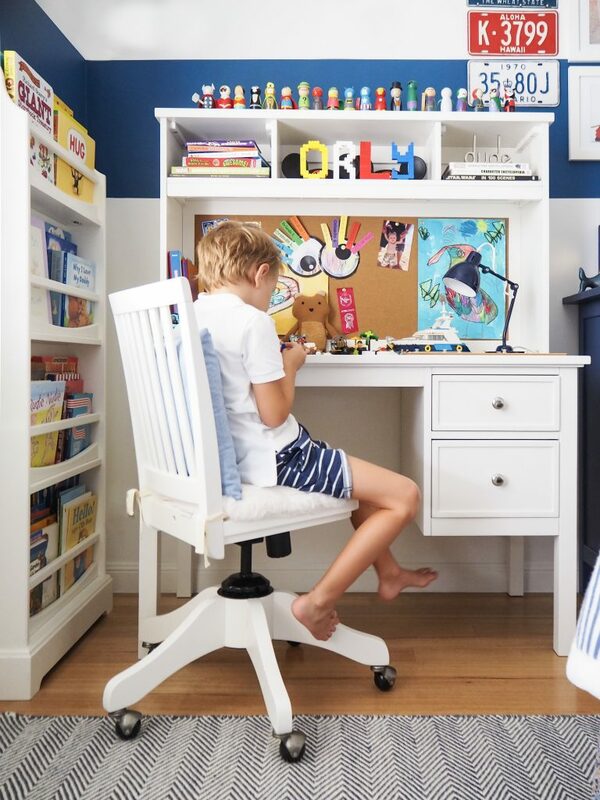 We popped on to the Pottery Barn Kids website and looked at the desks and chairs together. We talked about options like colours, comfort and storage. I found out pretty quickly that the things that were important to me, were not important to him, and vice versa. He wanted somewhere to display his artwork and Lego creations, while I wanted ample storage and a timeless style that would grow with him into his teenage years. We chose the Elliot Desk and Hutch. It’s classic design, overhead cubbies, double drawers and fun corkboard ticked all the boxes and we both love it. We already had the Madison 4-shelf Bookrack which is a great complimentary piece to use with the desk as it keep all his books within arms reach. When it came to the chair, he wanted a furry seat cushion and ‘a chair that spins like the teacups at Disneyland’, while I wanted something sturdy and safe. The Carolina Swivel Chair was the perfect fit, it’s a little bit playful and very practical. Next on my list was lighting. I am an Optical Dispenser by trade, so I understand how important adequate lighting is. While reading and working in the dark will not cause permanent damage to your eyes, it may cause headaches and eye strain, these are completely avoidable by selecting the correct lighting such as the Solid Task Lighting with it’s directional gooseneck that can be angled to shine on their workspace. Also on my list was desktop storage for easy access and quick clean-ups. The Shaped Lazy Susan was a winner for both of us, the compartments keep his pencils and stationary organised, while the spinning star keeps him motivated to clean up. When the functional things were ticked off, I let Orly choose some comfort items to make him feel cosy at his desk. We chose the Stripe Fur Throw with classic stripes on one side and faux fur on the other. As you can see by that toothless smile, he absolutely loves it! Because I’m savouring every minute that he still wants to play with soft toys, I let him have this adorable west elm X PBK Bear to keep him company while he works. 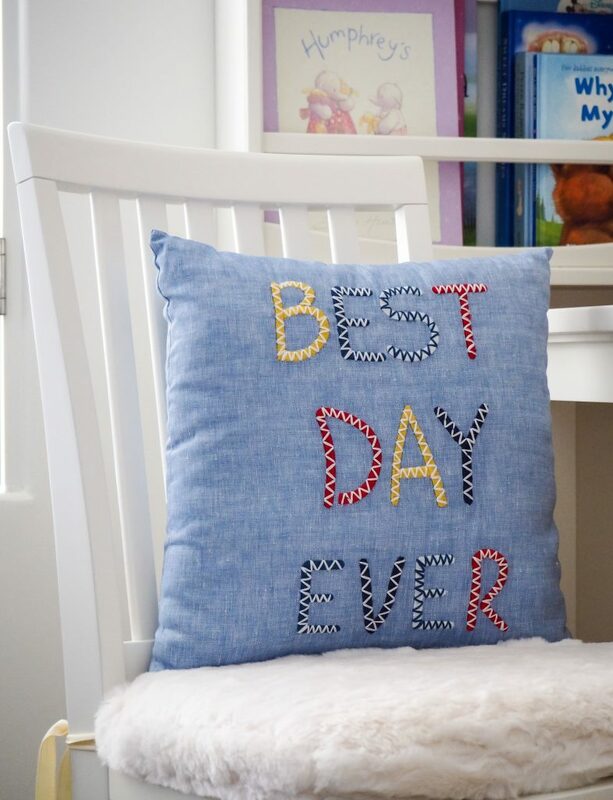 We also chose this fun Best Day Ever cushion for a pop of colour and positive reminder to make every day your ‘Best Day Ever’! When we had finished selecting our items, we placed our online order and awaited delivery. A quick little tip here – the deluxe delivery service is worth every single cent. The friendly delivery team brings the items to your home, assembles the furniture, places it where you want it AND takes away the rubbish. It was a little bit of luxury that was greatly appreciated in our busy life! Orly was so excited on the delivery day, he was dancing around the house like it was Christmas. He didn’t waste any time in making it his with all his special things. 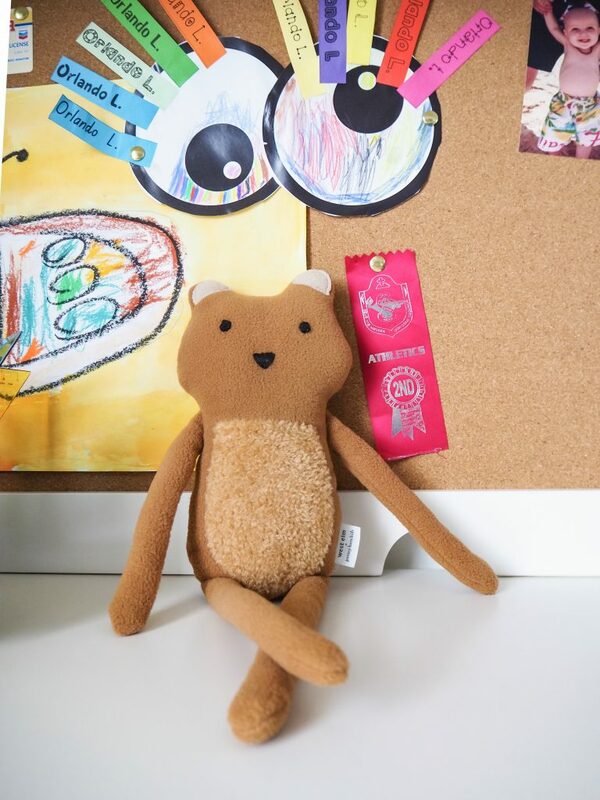 He loves the corkboard and carefully went through his art folders to find his favourite pieces to display. I love that we can keep it fresh with new artwork now, but it will also transition to a great memo board for him as he gets older. 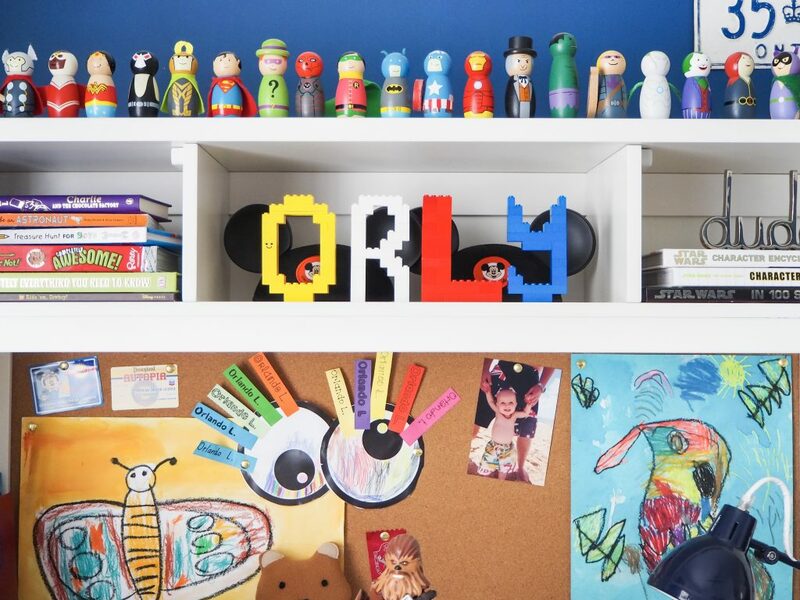 We used the cubbie holes for his favourite books and vacation mementoes and his big sister made the ORLY letters from Lego for him. He’s had it for a couple of weeks now and I am so pleased with the way he has been using it every day. He plays with his Lego, does craft activities, colours-in and practices his writing. Not only does it keep this mess off my kitchen bench, but we are starting to develop those habits I was talking about … the study habits that I was hoping to implement. My first mission was to get him to use his desk, to sit and play or work independently and to enjoy it. Now lets see if we can produce a doctor with those study skills, or a nurse, or a builder, or maybe an astronaut … whatever makes him happy, as long as he tries his best, oh gosh I sound like my mother! 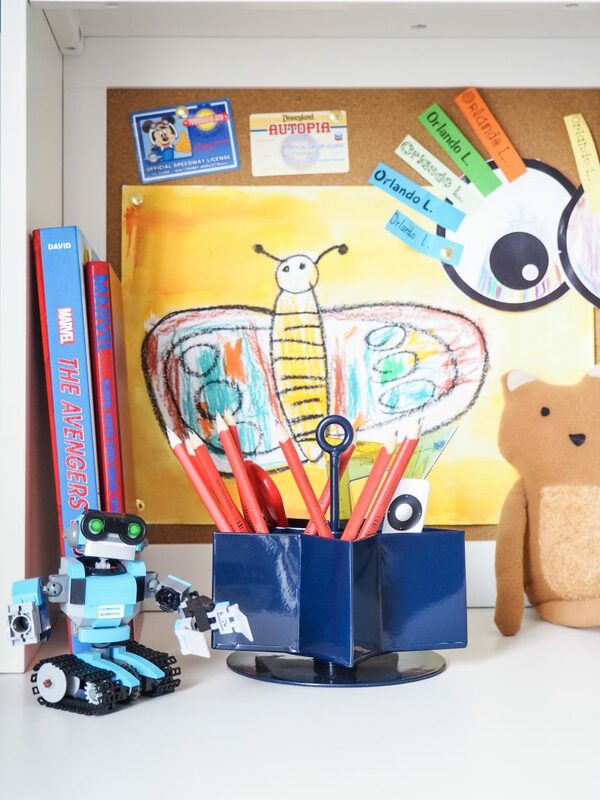 If you want to create a study space for your children you can find loads of inspiration here. Or pop in to your local Pottery Barn Kids store, the shop displays are always full of fabulous styling and ideas. Is your child getting their Forty Winks? We’ve all heard the studies about how important sleep is. As adults we definitely notice our body slow down and our mood change if we have a few late nights, but what about our children? The latest research says that adequate sleep can help children fight obesity, avoid colds, illness and increase their concentration at school. The studies suggest that sleep is essential to good health. Kids that get enough sleep have fewer learning problems and attention issues and when kids don’t get enough sleep it directly affects their mood and behaviour. Last year we had so many problems with our youngest, Orlando. He’s 6 and due to our crazy lifestyle and hectic hours, he just wasn’t getting enough sleep. He had minimal self control and was constantly fidgeting at school. When the school teachers suggested his behaviour was not normal for his age, I started taking his terrible sleep routine more seriously. Wow, what a difference it made! It’s obviously crucial to nurture their sleep habits, so how do we make sure our kids are getting what they need? It’s not always easy, especially if your little one is a night owl or has trouble getting off to sleep. There are definitely things you can do to help your children sleep. You can use lavender oil on the soles of their feet, you can limit their screen time, you can wear them out with sport activities and numerous other tactics. However, the most important tool to help your child have a good night sleep is to make them feel safe and happy in their bedroom. Their bedroom should be their sanctuary, it should make your child feel comfortable and content, they should be surrounded by their special things and feel like their room reflects their personality. Kids love to be involved in the planning and decorating of their own space and by letting them help, they feel a sense of ownership and pride in their space. So what do you need to create the perfect bedroom for your little one? Let’s start with the most important thing – the right bed. Forty Winks have been the sleep experts for more than 30 years, they know beds and they can help guide you to the right one. The variety nowadays is vast and beds come in lot of sizes and styles. Consider the age and size of your child now, but also think of how much they will grow in 5 years and future proof your purchase by thinking ahead. 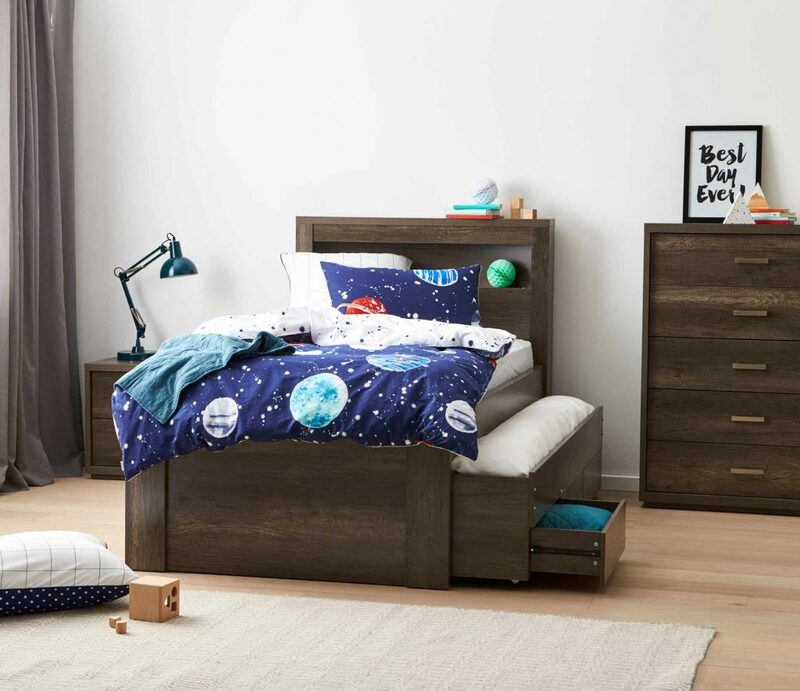 Before you decide on the bedroom furniture, have a good look at your child’s belongings, assess how much storage space he/she needs and how he/she will use their bedroom space. Does he/she need extra storage space for a large toy collection? Do you have teenager that needs somewhere to study? Do they have friends sleepover often where a trundle-bed or bunk bed would be handy? Do they have a small room that need to be multi-functional? By simply choosing furniture that fits your needs and offers the right storage solutions you can create an organised and serene space. Creating a place for everything helps your child to be neat and tidy and put their belongings away. Sleeping in chaos is not relaxing, having an organised space bring a sense of calm and makes it easier to relax. 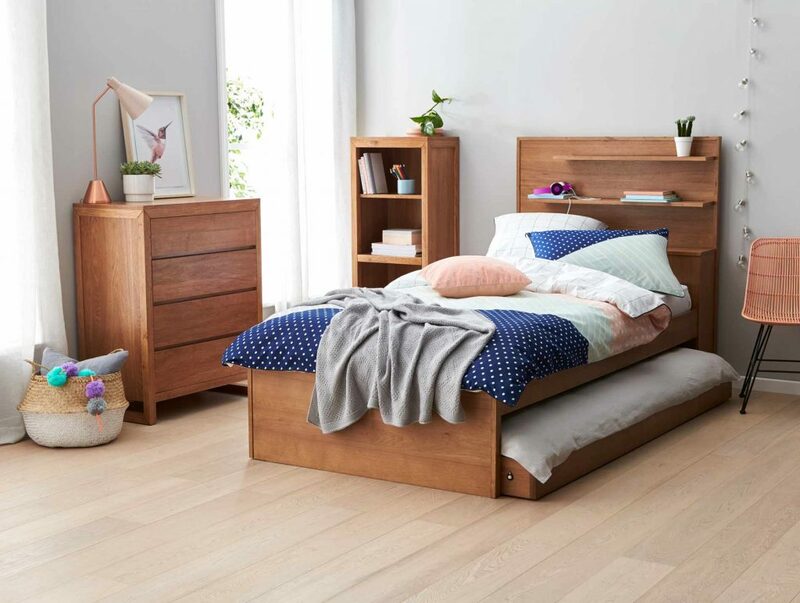 Let’s have a look at some great furniture solutions for all your kids, from their first big bed, to shared spaces and the teenage years. If you have a little bookworm, a bed like the Pluto would be perfect. It’s crafted from solid Victorian Ash and with its built-in shelves there is space for all your kids book right next to them in bed. It also has a trundle which is handy for sleepovers. 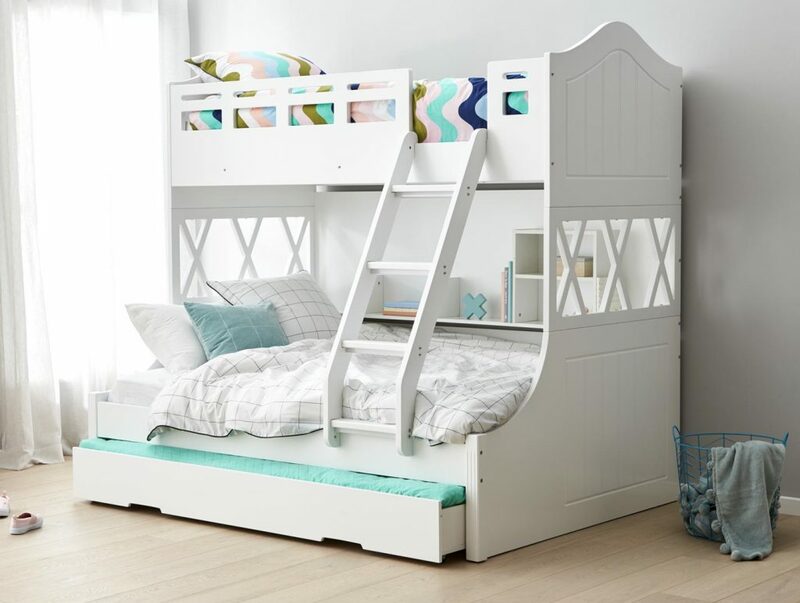 If your child shares a bedroom with a sibling or is simply a social butterfly who has lots of friends over frequently, the beautiful French style SNOW bunk bed might be the perfect option. It is a slanted design with a single bed on top and a double bed on the bottom, it also has a trundle for extra sleeping space. If space is tight, the Quantum Loft bed packs a lot into its smart design. It only requires the floor space of a single bed, but it is a complete sleep / work / study / play solution. 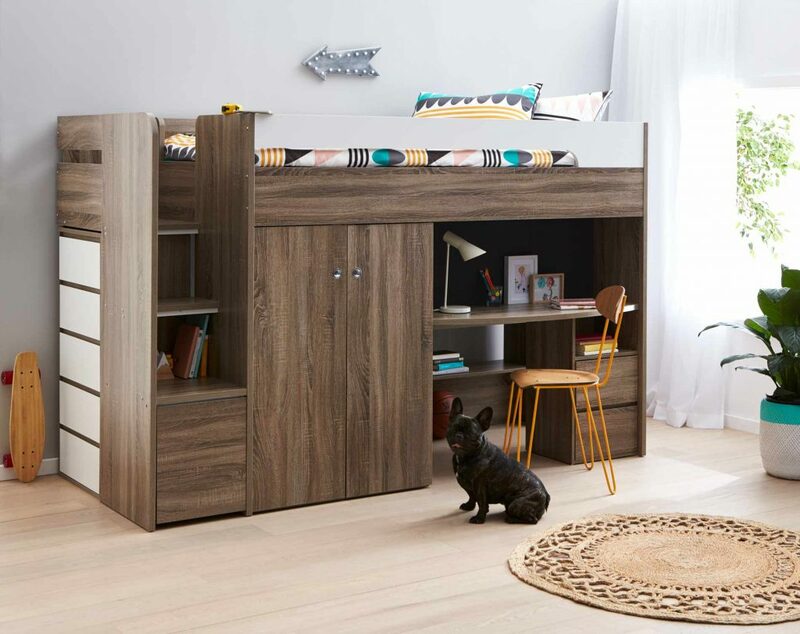 With a loft bed, desk and utility area, wardrobe storage and toy storage it really is the workhorse of kids’ beds! The ODYSSEY is a great option for kids or teens. It has under bed storage and a ‘secret’ compartment in the bed head, perfect for stashing diaries and special things. This range has a fabulous range of matching storage solutions such as the 2-drawer bedside table, 4-drawer tallboy and study desk. 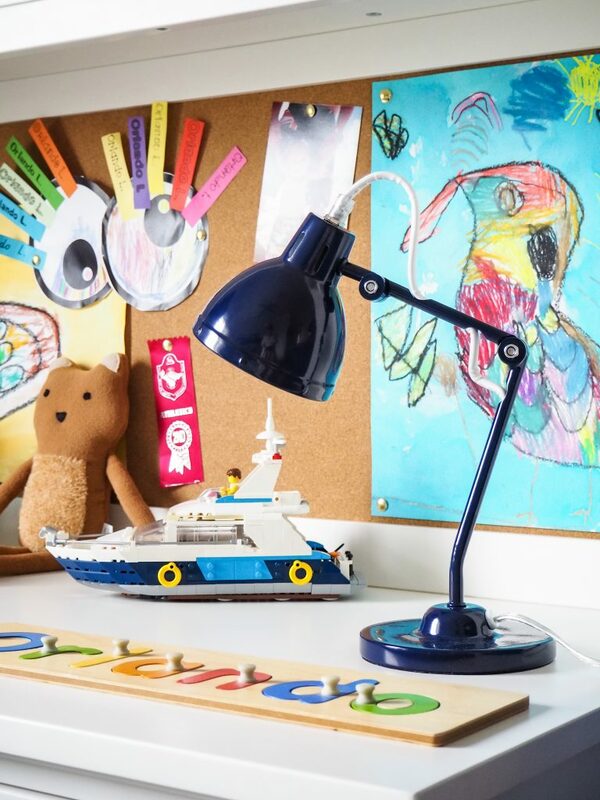 The ARC is a great choice for kids that don’t like the dark, it has a bookend bed head with built-in LED lighting so the kids can quickly and easily access the light without having to leave the safety of their bed. This king single sized bed also features a trundle and under bed drawers for extra storage. As you can see, Forty Winks really do have you covered for all your children’s furniture needs. Once you have determined your furniture you will need to choose a mattress. Take your child with you and let them lay on the mattresses and find what’s comfortable for them. Of course, you can be guided by the experts at Forty Winks, they will help you with the right fit for your space and budget. Keep in mind your child is growing fast and they will need the right support and comfort through these important growth years. Bedlinen is also important, especially to some children who are sensitive to different textiles. Choose soft, warm and comforting layers that they can add or remove for their personal temperature control. Lastly, finish with the decor. Ask them their favourite colour or talk about a theme for their room. We’re not talking about splashing Transformers or Barbie’s all over their room, choose a more subtle theme such as the ocean, the solar system or rainbows and unicorns. If your child insists on a character theme, you don’t need to have licensed quilt covers and character cushions to get the look, think about the colours in that character and use them as your base to work from. For example, if your child chooses Mickey Mouse, you can work with red and yellow with a splash of black. Personalise their space with family photos, framed art, baby mementos or special belongings. Give them a place to display their latest Lego creation or school art project. Creating a bedroom with your child will give them a sense of ownership and make them want to spend time in there. Ultimately, that’s what we want, and that’s what will help them relax and sleep like a baby! I’m happy to say, after making a few changes to Orlando’s bedroom like adding some comforting elements and removing some stimulating ones, he sleeps like a baby and is a much happier, calmer and attentive child. Disclosure: This post was written by me in partnership with Forty Winks. I only work with brands that I personally love and think you will too. Thanks for supporting that brands that help me keep Mum Little Loves alive. 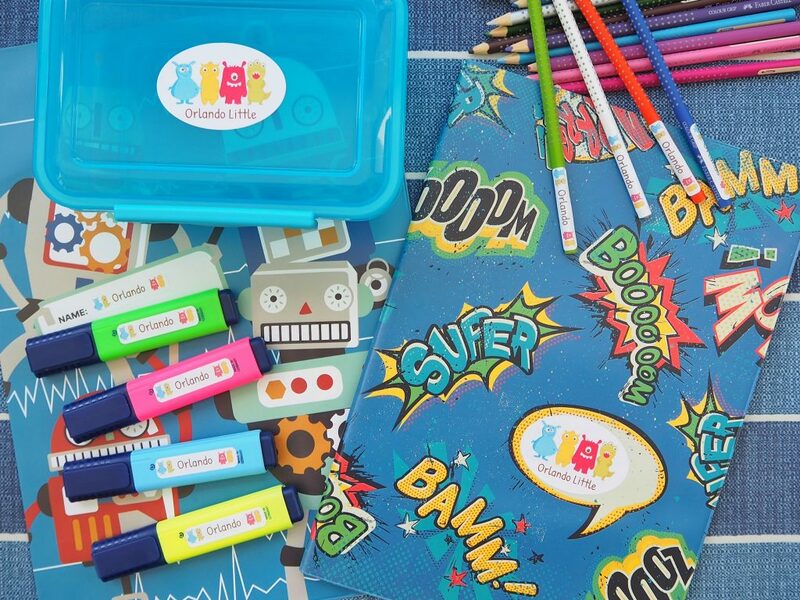 It’s nearly ‘back to school’ time. I’m not looking forward to the school traffic or monotonous packing of school lunches but I’m definitely going to miss the sleep-ins and lazy days. This year my baby is going to school, my last baby … most definitely my last baby, the baby shop is closed. Where on earth did those last five years go? I swear he was just a baby a few weeks ago, I don’t care how old he is, he’ll always be my baby! But I am secretly looking forward to a little more freedom, shhhh don’t tell Orly! My girls are going into grades 9 and 10, so I think I have this back to school stuff under control now. 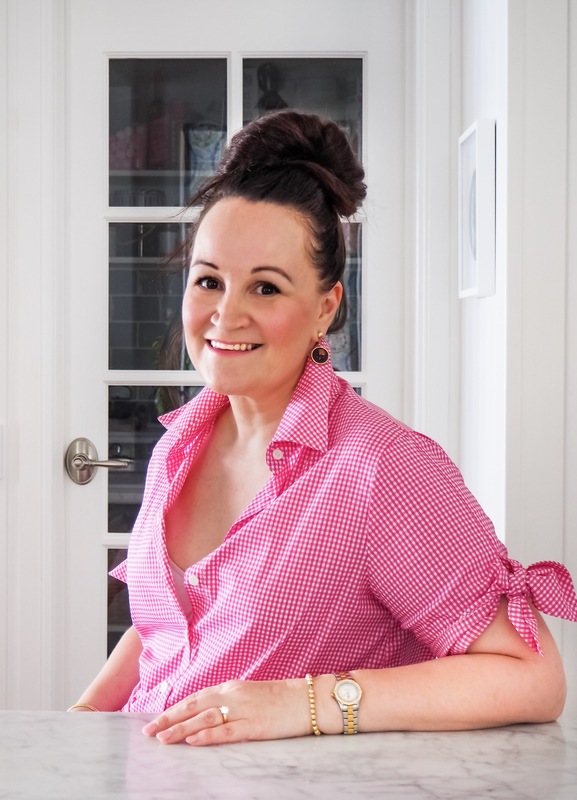 I’ve learnt a few things along the way and I thought some of you first time school mums might need a few tips. Firstly, don’t even bother trying to cover your own books with those horrible rolls of contact that leave you frustrated and aggravated, especially if you are a bit of a perfectionist like me, the little air bubbles will make you lose your mind, trust me! If you have any teenage daughters bribe them to do it for you, I find the promise of a trip to get frozen yogurt works nicely and is worth every cent. Otherwise pop down to your local newsagent or office supplier and buy some ready-made plastic book covers, they come in various sizes and just slip over the front and back cover of the book, easy peasy and they are reusable. Label everything, and I mean EVERYTHING! You will be blown away by how many things grow legs of their own and wander off, never to be found again. 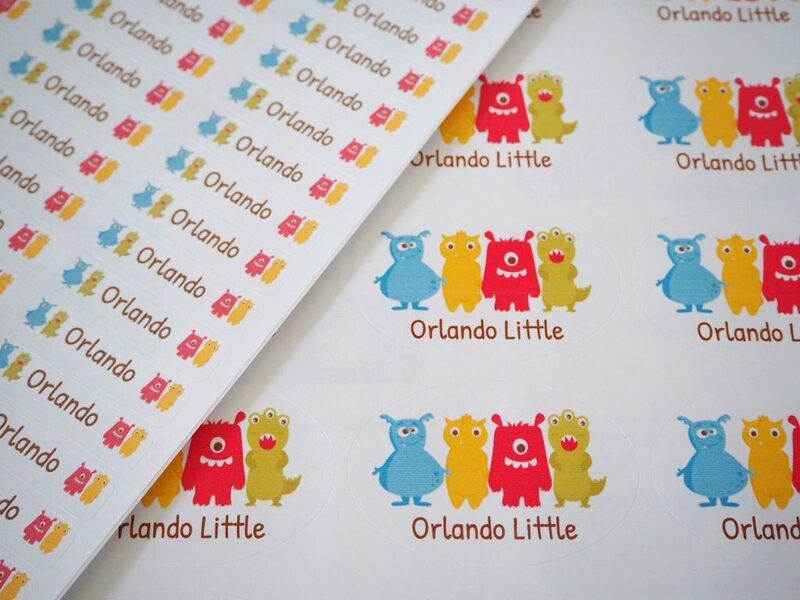 I find labelling everything in a bright, clear label that is easy to recognise is easier for the little kids as they sometimes don’t instantly recognise their own name, or there might be 2 or 3 ‘Orlando’s’ in the class, so something that is unique to them can be a great idea. This year I discovered Avery printable labels to personalise and print my own labels at home. Y’all know how much I love personalising anything and this was so much fun for both Orly and myself. You can purchase your packs of labels at Officeworks or most good office supplies places, check here to find your closest stockist. Then pop online to the Avery Create your own school labels website here and follow the easy instructions. Orly chose monsters which was quite fitting I thought! Then we were labelling everything in sight! 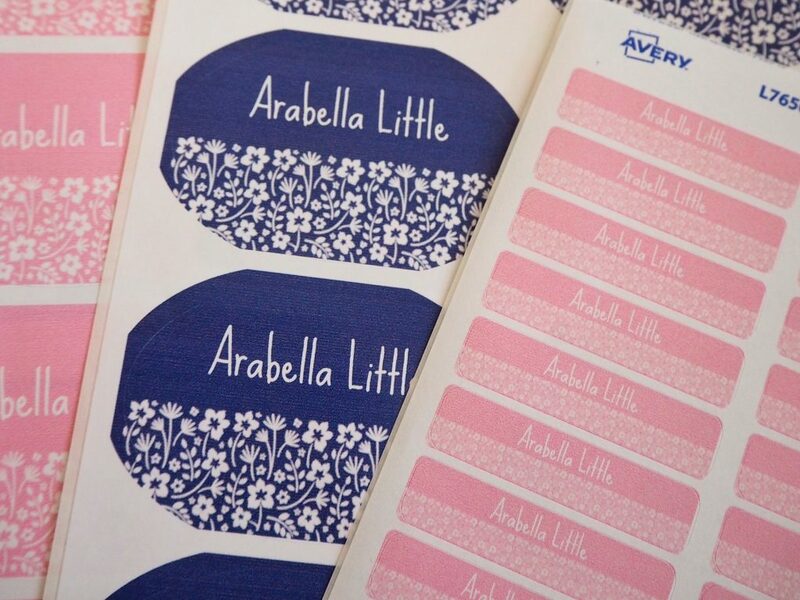 Arabella saw Orly’s labels and wanted to make some too. She made these all by herself, I think they look rather pretty! Don’t forget to label all your lunch boxes too. This is not only so they don’t lose them at school but it makes it much easier in the mornings when the older kids are grabbing their lunches and packing their own bags. What could be worse than accidentally taking your 5 year old brothers peanut butter sandwich to school when you clearly requested turkey and salad on rye, ahem … Sorry! I hope this helped some of you first timers get ready for the big day. OH! And take tissues, even the strongest Mummy’s cry on the first day! Find Avery labels from your nearest stockist here. Go To the Avery Create Your Own School Labels here. 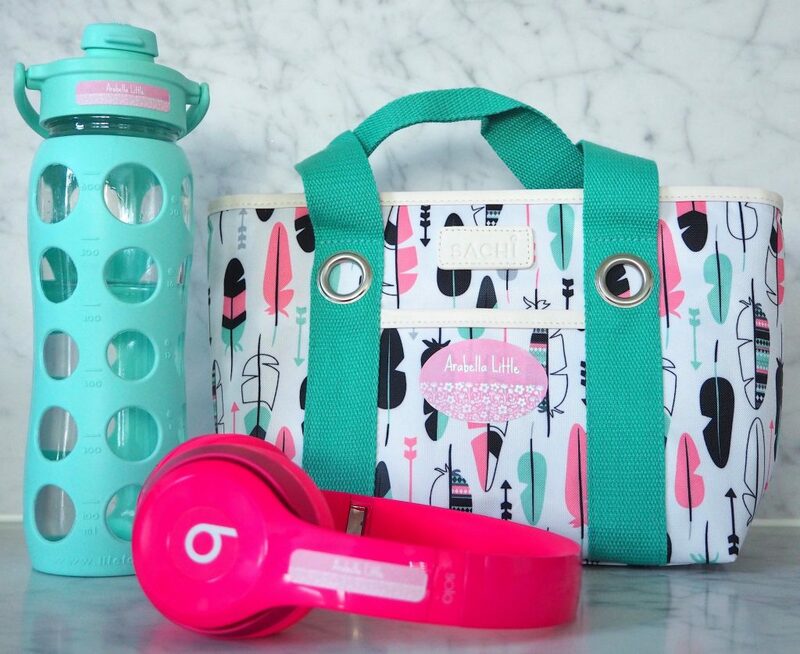 Arabella’s drink bottle and lunchbox are from Kitchen Warehouse and can be found here and here. 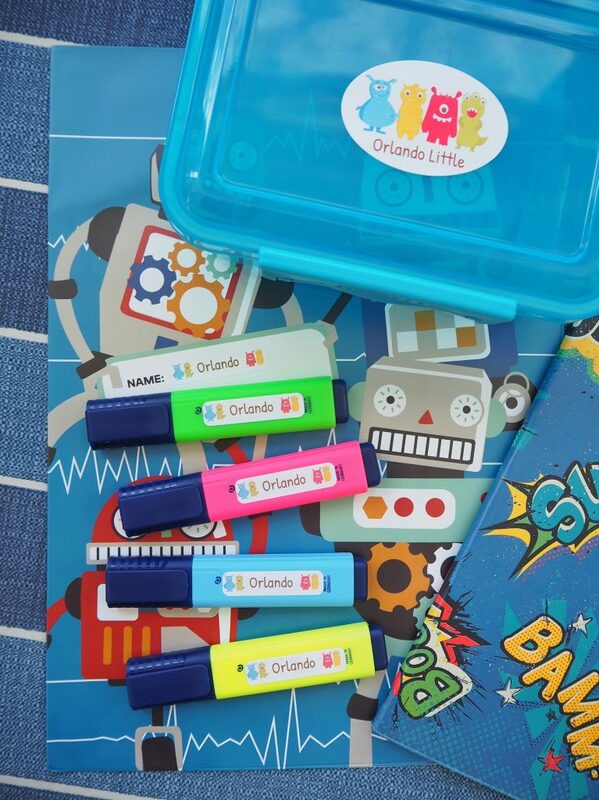 Orlando’s book covers are from Officeworks here. Orlando’s lunch boxes are from Kitchen Warehouse, here. 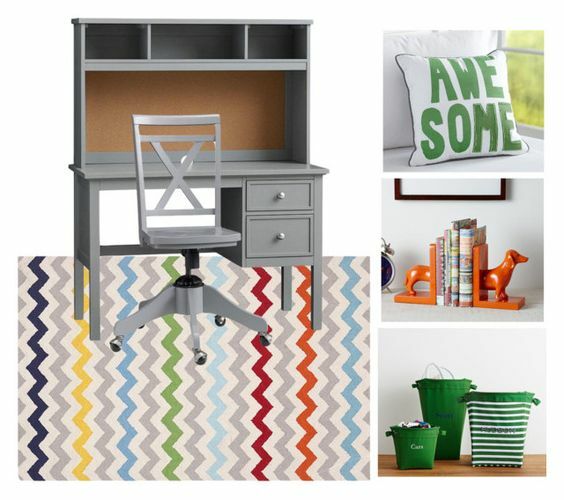 Perfect pieces for a boys study space. 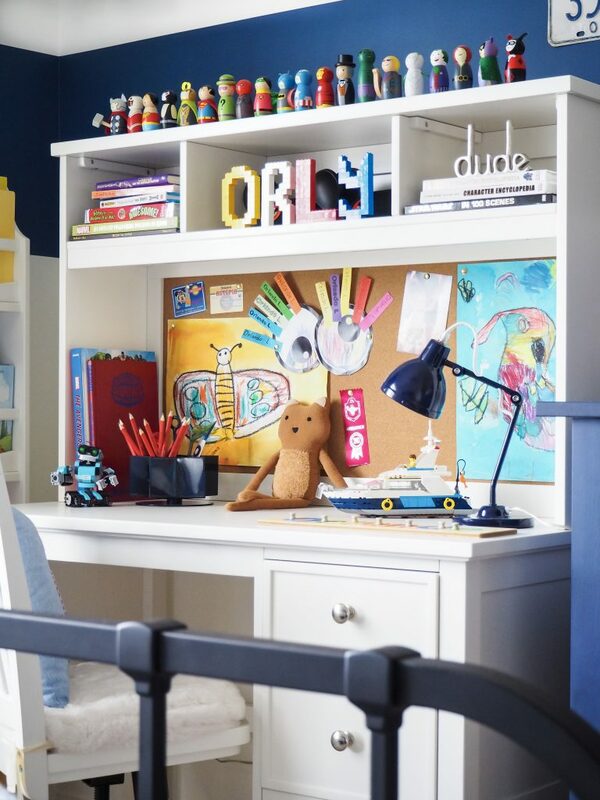 It seems y’all loved Arabella’s new study space that we created with Pottery Barn Kids. If you missed it you can find it here. It is a dreamy pink space, and it’s very girly. I had a few of you ask about a boys study space. I thought I’d put together my favourite pieces for a boy’s room to give you some ideas and inspiration. 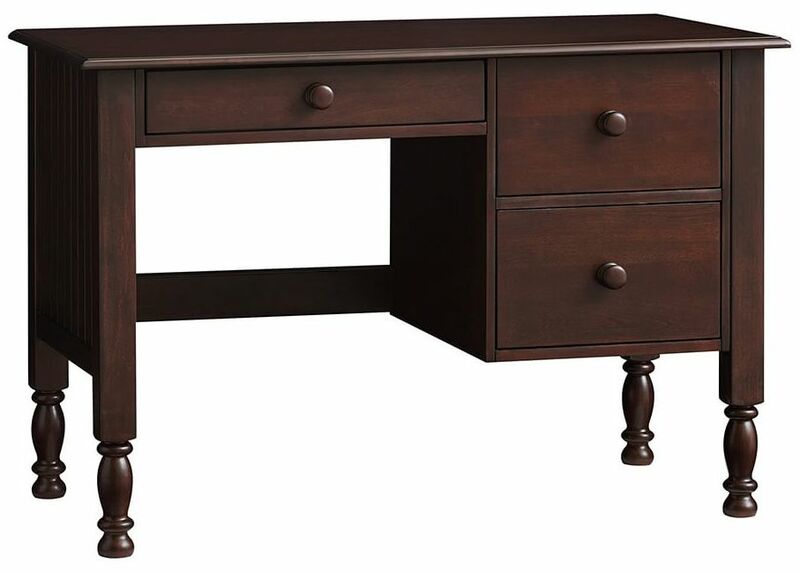 The Catalina Storage Desk is my pick for a boys desk, although it was a tough pick. The Catalina is available in cocoa or simply white. I think the cocoa is masculine and handsome, and I love the turned legs. It’s the little details that make a piece of furniture special. A Large Hutch is also available to purchase separately. It has a handy cork board and cubby holes. I can just imagine all the stuff Orly would shove in those cubby holes, his superhero collection, favourite books and Tiny Teddy stash. 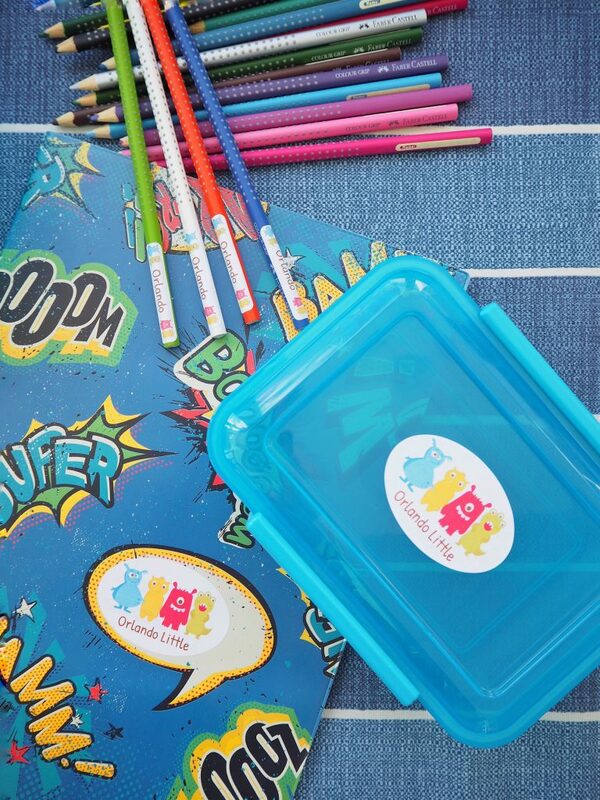 It’s also a great addition for school aged kids to keep their clutter under control. I still love the Knox chair for it’s classic lines and good looks. I used it in Arabella’s room, and I would use the swivel version in my boys room. Boys can’t sit still, and they don’t have too on these smooth rolling castor wheels! Seriously, isn’t this the coolest boys lamp ever! It is the Fisherman Table Lamp and it is a ‘must’ in my imaginary boys study space! 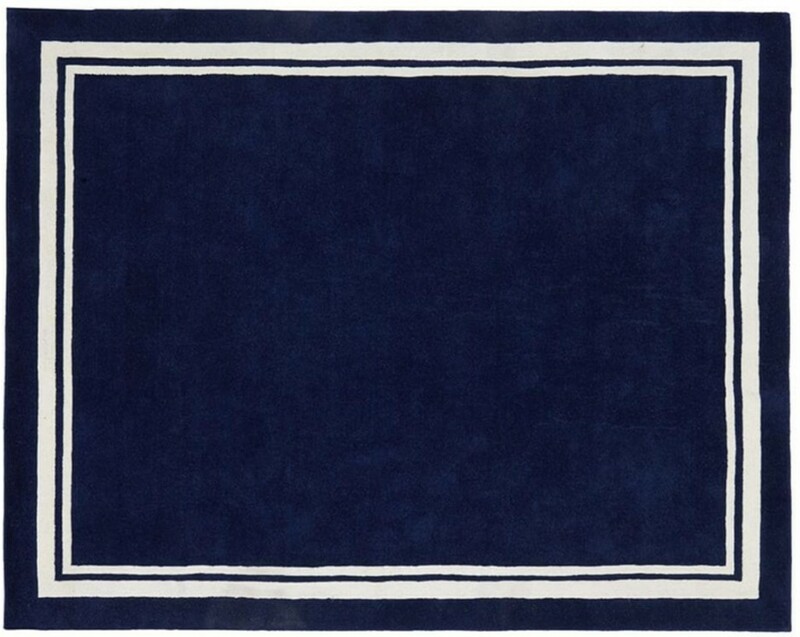 The Harper Rug in navy. 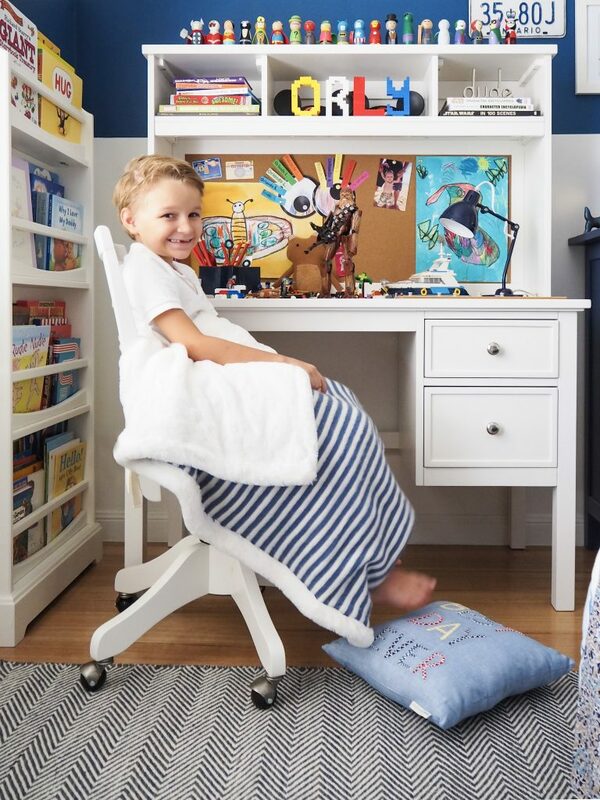 Hand tufted from Indian and New Zealand wool, it’s comfortable enough for reading and racetracks on the floor, but durable enough to cope with rough and tumble boys. Here’s where you inject some personality and make the space ‘theirs’. I found a few things that I love and I would put in my boys study space. 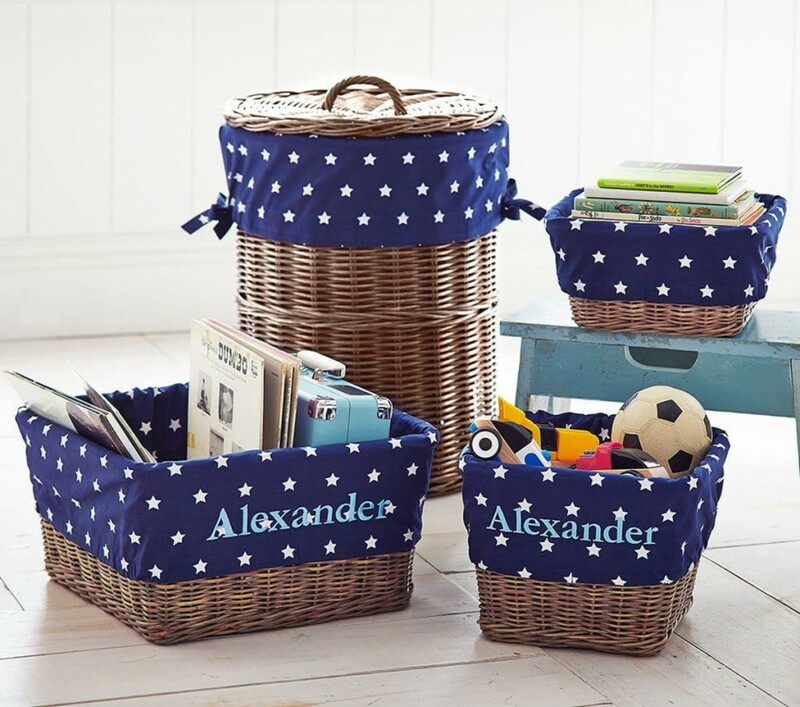 I love these Navy Star Sabrina baskets and liners, and you can have them monogrammed in-store. I would label them for books, gadgets and toys. 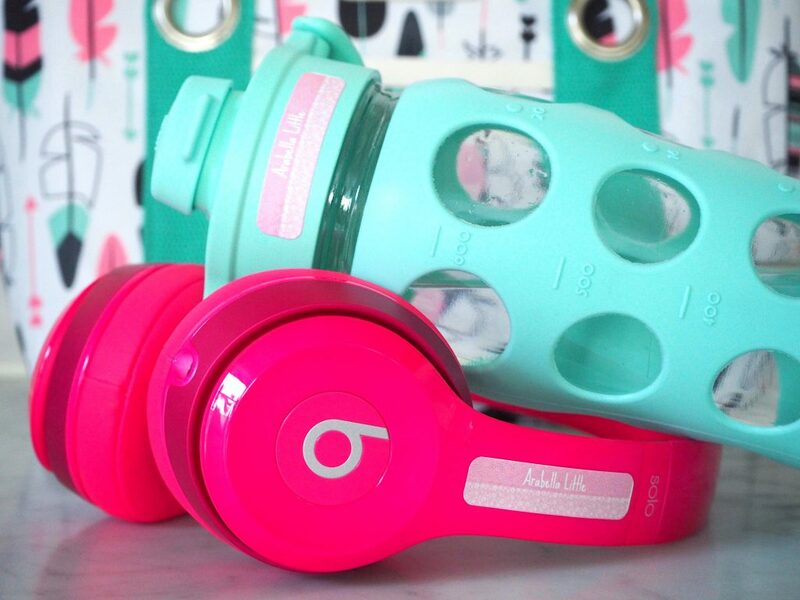 Storage options are a necessity. Everything should have a place, and surely it’s easier for the kids to put stuff away if the baskets are labelled! 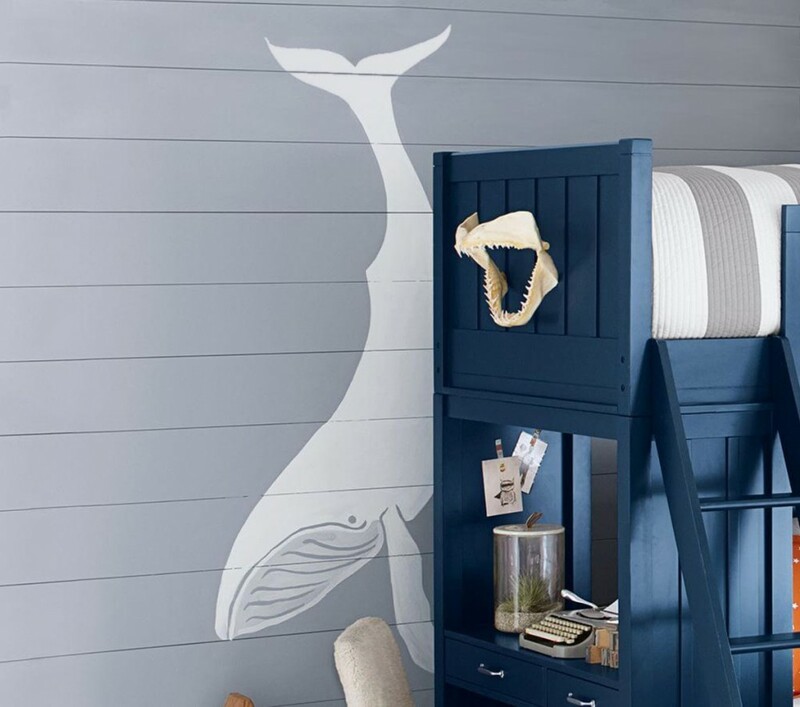 I adore this Jumbo Whale decal, of course I do, it’s a whale! It looks amazing on this grey wall. 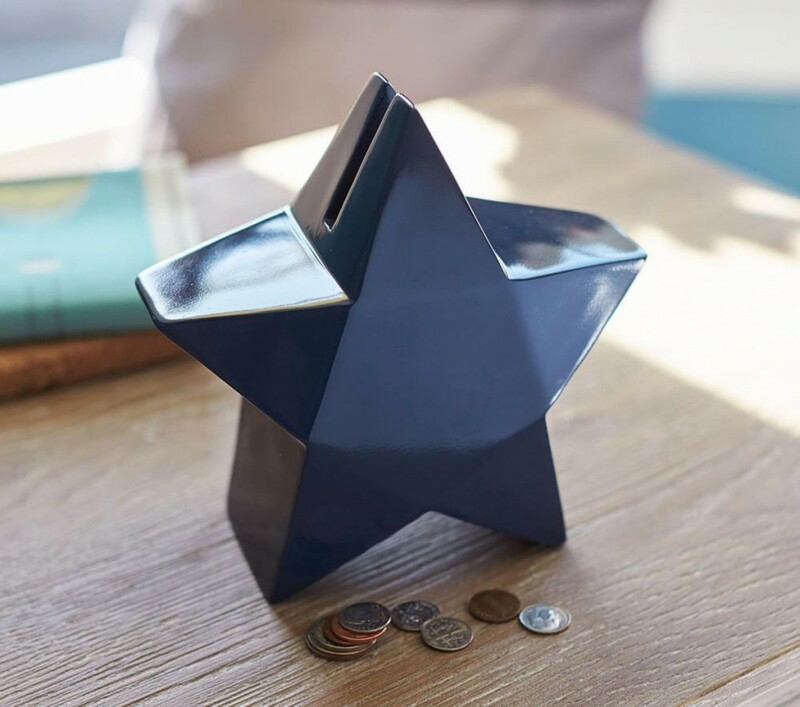 The Star Piggy Bank encourages your children to save their money from an early age, and it is super cute! Doesn’t it look amazing! 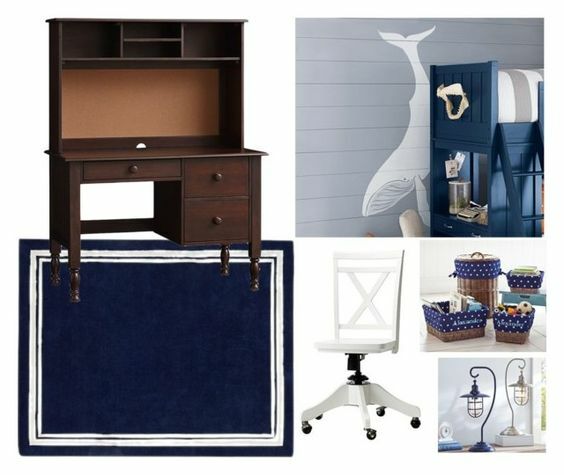 The timber gives warmth to the crisp navy and white colour palette, and the accessories suggest a nautical feel. I love this look and I think it could grow with your boy from his toddler years all the way through to his teen years. If navy isn’t your thing, I’ve created a couple of other moodboards to give you some inspiration. I love this fun and colourful look. Keeping the furniture a neutral shade allows you to add pops of colour in the accessories. Green and orange look great mixed back with grey, and the rug ties it all together. Elliot Desk & Hutch – find it here. Know Swivel Desk Chair – find it here. Chevron Multi Rug – find it here. Awesome Cushion – find it here. Orange Dog Bookends – find it here. Bright Green Canvas Storage – find it here. 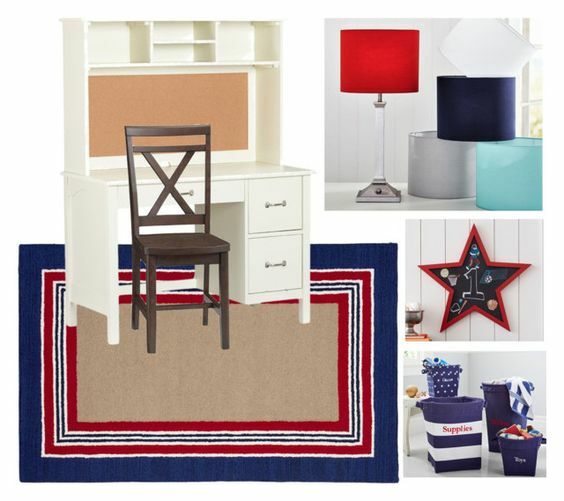 Red, white and Blue is a classic colour scheme for a boys rooms. Adding little details like red stitching on the blue canvas storage helps to give it a cohesive look. Again, the rug works perfectly to tie it all together. 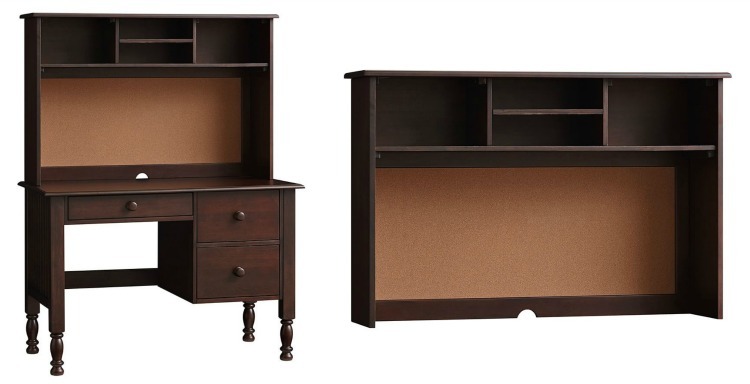 Kendall Desk & Hutch – find it here. 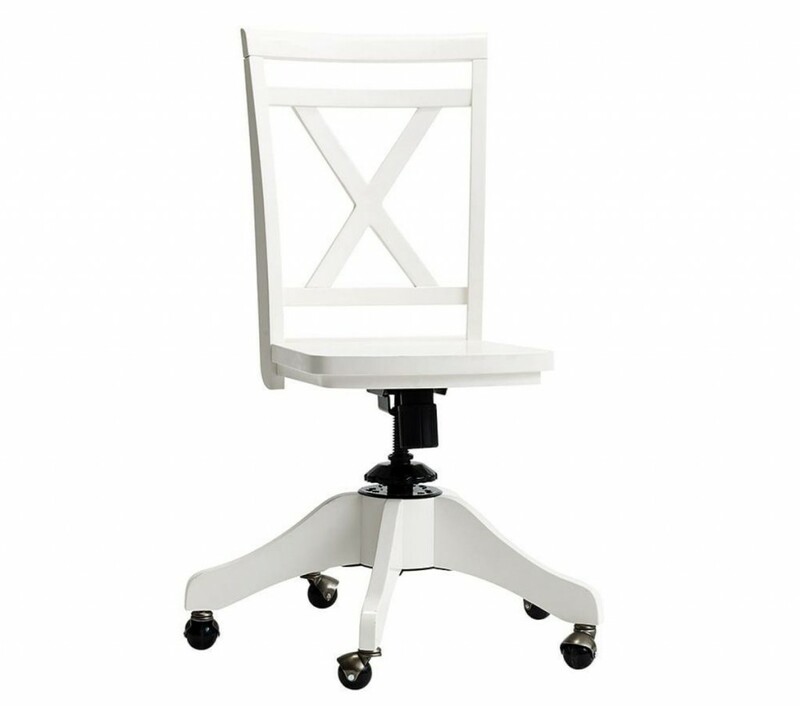 Knox Stationary Desk Chair – find it here. Tailored Striped Rug – find it here. 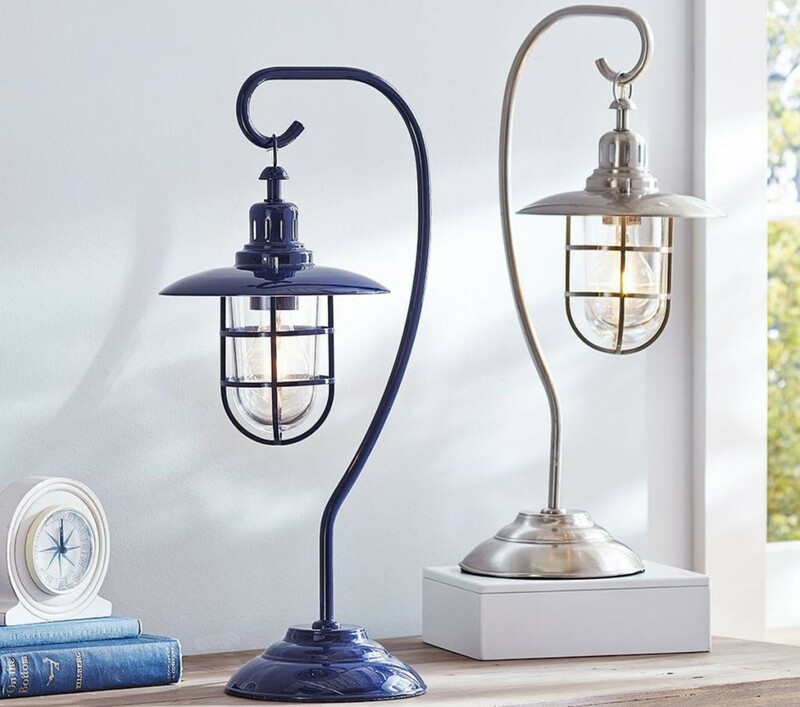 Mason Table Lamp – find it here. Star Chalkboard – find it here. Navy Canvas Storage – find it here. I hope you got some inspiration! Are you doing a room makeover? I’d love to see! Are you looking for a piece of furniture or some accessories for your home? Ask me, my little black resource book is overflowing with great places to shop!